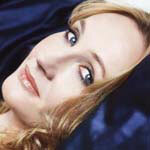 Yesterday we told you that Harry Potter author J.K. Rowling had been honored at the South Bank Show Awards. We now have three videos containing new interviews with Jo, as well as footage from the award ceremony which will be broadcast on UK channel ITV February 3. Scottish TV let us know about their news report where you can see Jo receiving her award, as well as hear some lovely comments from Lord Attenborough, and a new interview with JKR after the ceremony. To watch click here. Additional reports are available from Sky News and The Telegraph. Also, Jo took part in a new interview with BBC Radio Five Live program host Simon Mayo, and you can now hear this radio interview via this link, where Jo jokes at her relief at not having to write any more Quidditch scenes. Thanks to STV, Neil, UHP and all who owled with links!